Hello February!!!! We haven’t had a lot of snow in central London yet but weather forecasts keeps warning us of impending snowfall. But thinking of all of you out there under blankets of snow. We know that regardless of weather conditions, we still have to go out regularly. 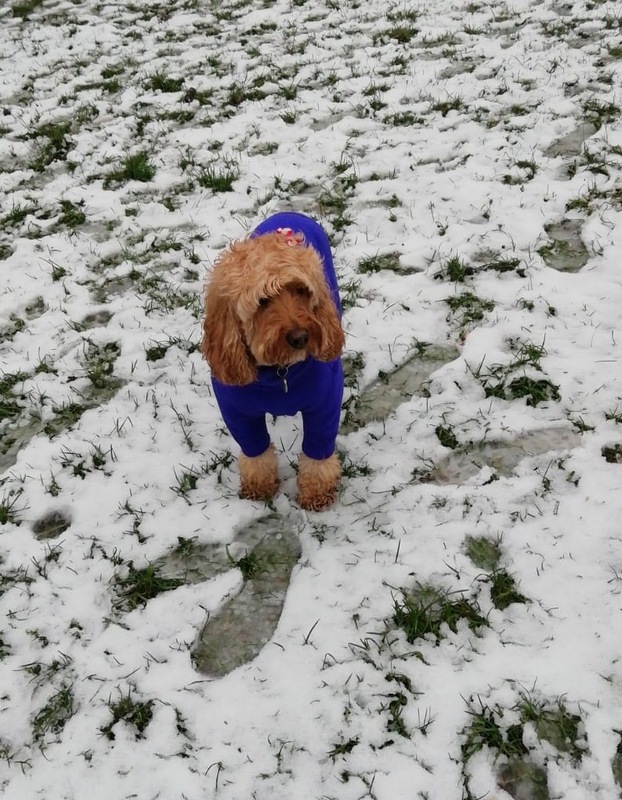 There are a few things to be aware of and here are a few good tips from MediVet to ensure your dog stays warm and safe. 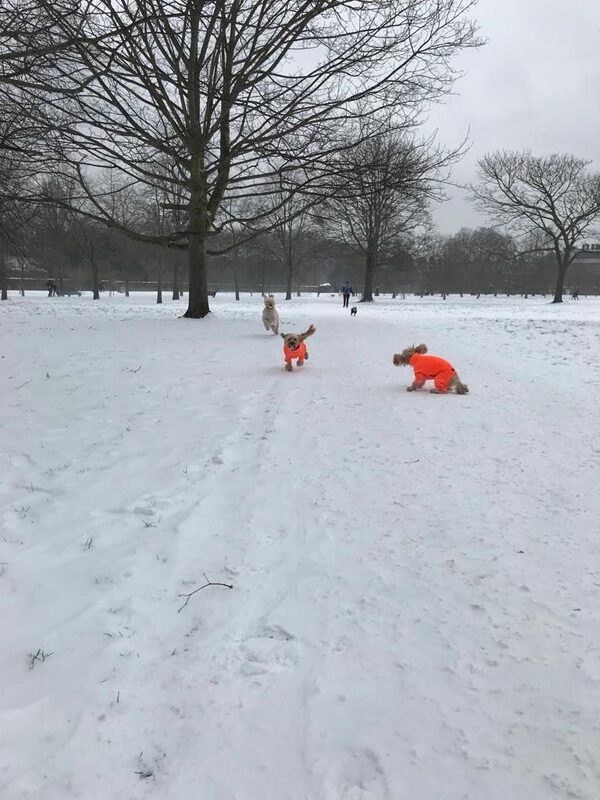 Not all dogs have a thick enough coat to keep them warm in the snow. If you have a short-haired breed such as a greyhound, lurcher, Staffordshire bull terrier or similar, you should consider a coat to provide an extra layer of insulation. Always remove it as soon as you get home. Darcy: We always have on our entrusted Equafleece. This was me earlier today going out for a walk. There was snow in the park from last nights snowfall. But it was raining and the roads were cold and wet. Yup, I got rather wet today. 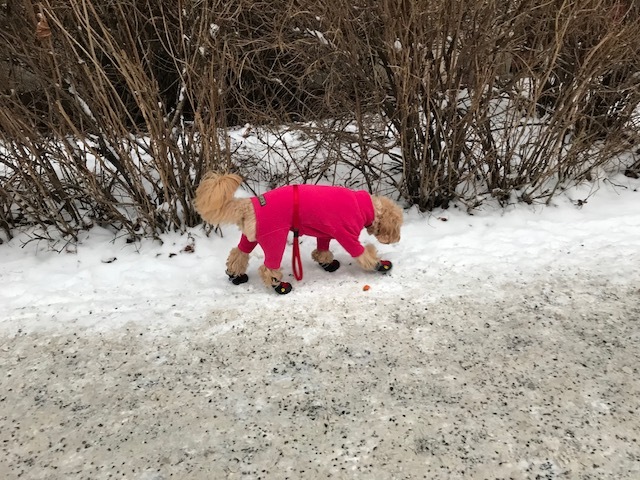 Be extremely careful if you walk your dog through an area where salt and grit may be in the snow – they find it extremely uncomfortable and it can burn their paws if it becomes trapped in the pads. Your dog may also try to self-clean, and as salt and grit are poisonous this can be very dangerous. 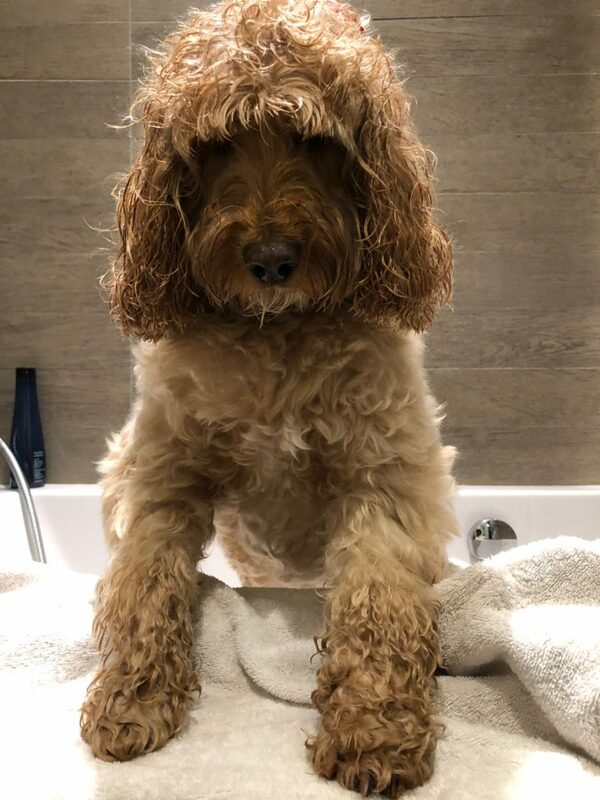 Make sure you thoroughly rinse and dry your pet’s paws after winter walks and see your vet immediately if they’ve damaged their pads. Darcy: I know the drill. It was straight into the bathtub. Thankfully its only my head and paws that were soaking wet. Everything under the Equafleece was dry. 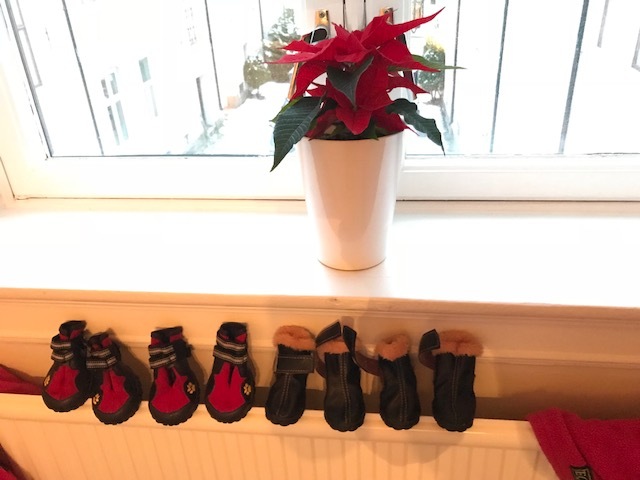 We had also tried wearing boots for our trip to Norway – unfortunately they don’t seem to stay on. So Mum spent the whole walk making sure we didn’t lose any along the way. Me walking in my boots. By the end of the walk, they all ended up in Mum’s pockets. They were rather wet! Ice can be just as dangerous to dogs as people as they can slip and slide. If your dog’s off its lead, make sure they don’t run onto frozen rivers or lakes – thin ice can break easily, and you could find yourself trying to rescue a dog. 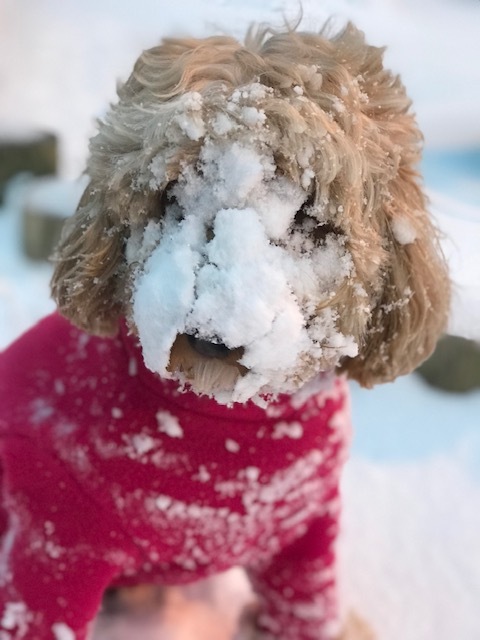 While this may look comical, eating snow could cause stomach upset and even hypothermia in your dog. If you suspect your dog has hypothermia, contact your vet immediately while warming them up with blankets or thermal wraps. 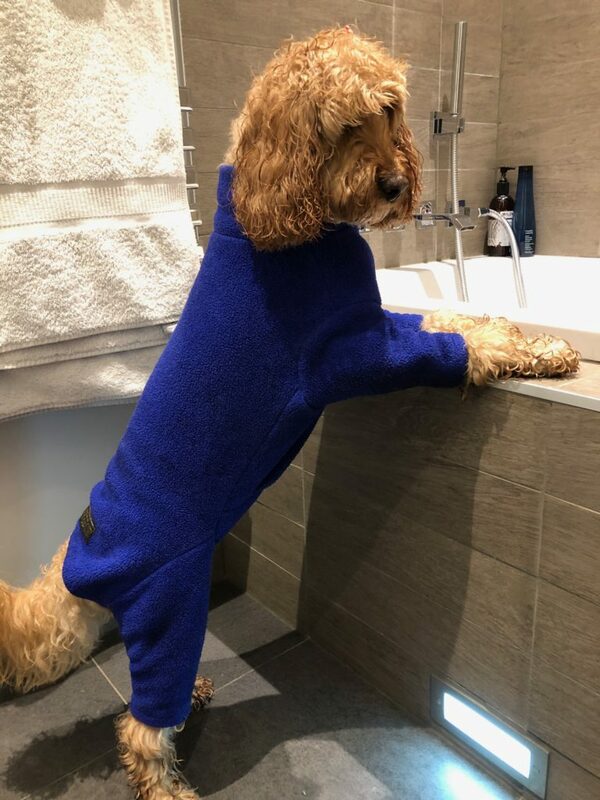 Make sure you don’t place hot water bottles, microwave bean bags or other heat sources onto your dog. Anti-freeze has a sweet taste, which makes it very appealing to dogs (and cats). 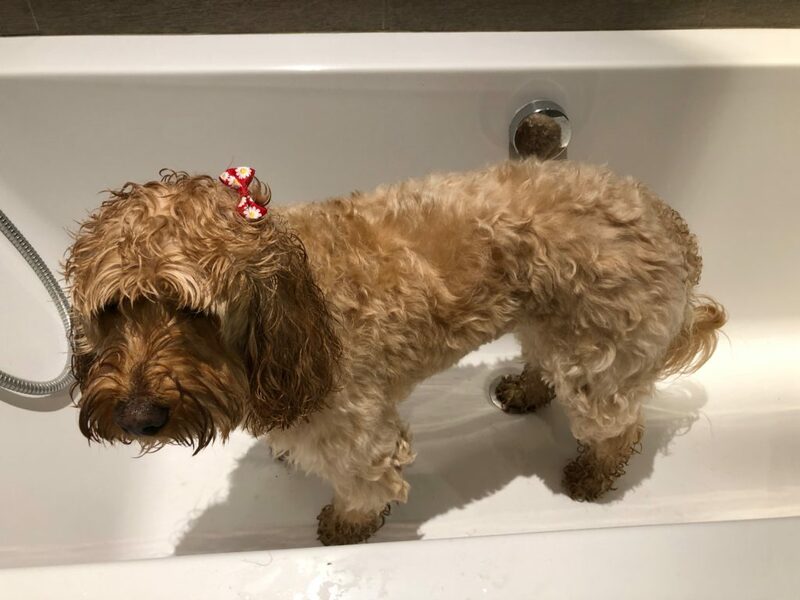 Keep an eye out for signs of vomiting or diarrhoea – and if you think your dog might have been exposed to anti-freeze, contact your vet immediately. May’s comment: Take care of your pooches and yourself. Snow is fun but Arctic temperatures can be dangerous. Thank you for this may. So many dog owners need to see this I posted the link.